The project focussed on using accessible data and readily available tools where possible to make it as relevant as possible to the forest industry. The conclusion reached was that UAVs can undertake all these tasks well and be effective. They also have their own niche, complimenting rather than displacing other remote sensing methods. 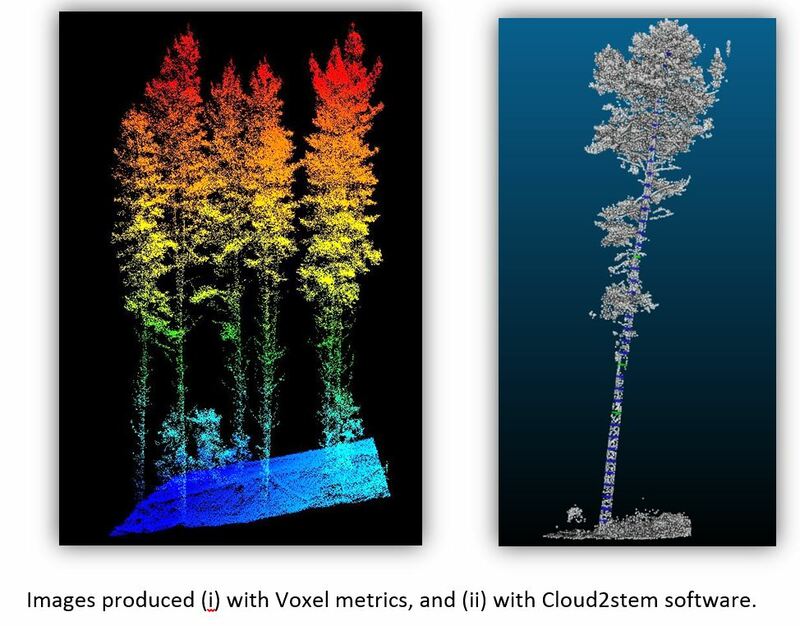 Summary: Where do UAVs fit in forestry? Scion’s remit is to provide remote sensing research that adds value to the forest sector and to New Zealand. Scion’s geomatics scientists are an integral part of research teams, covering many aspects of forest management and health. Develop a set of ‘Voxel’ metrics that can be used to increase inventory accuracy over standard LiDAR metrics. New point clouds using Cloud2stem software will soon be able to accurately measure stem diameters. Identify needle mortality (and hence disease symptoms) using a UAV – this research involved simulating a disease outbreak by poisoning some trees so that changes in needle colour and foliar retention could be analysed. Prove that satellite data can be an inexpensive and equally accurate alternative to LiDAR for inventory. Drones are also playing a vital role in fire-fighting, including the February 2017 Port Hills fire. During this fire, Interpine’s drones were fitted with infra-red heat sensors and were flown at night. Their job was to locate and geo-reference hotspots. The information was delivered to fire fighters by day-break via a mobile phone app, enabling them to go directly to the hotspots and deal with them, saving valuable hours on the ground. 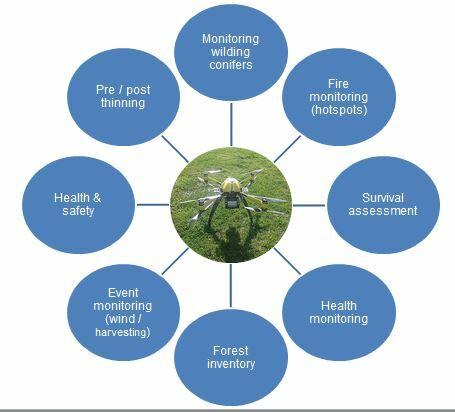 UAVs role is seen as providing ‘another set of eyes’ for forest managers, with ever-increasing capabilities to measure, count and monitor different elements of the forest and forest operations. Forest management companies are advised to identify a member of staff – a ‘champion’ – and invest in training and running some trials with this person. Also important is that operating policies and procedures are developed, and the law relating to use of UAVs is well understood.